When you’re moving over a long distance, it can be more complicated than a local move, and understandably so. After all, you can’t be in two places at once — but to thoroughly plan a move across the country, you practically need to be. Fortunately, Blue Whale Moving is the full-service moving company you need to make things easier on each side. From our help in preparation for a move to the final steps in completing the move, we can help your relocation (of any distance) go smoothly from beginning to end. Give us a call for a free consultation and estimate for your move, and let us show you why Blue Whale should be your go-to for any move of any distance. Think of all the details associated with moving your family from one home to the next. Now think about the added considerations of the same move — only your new home is multiple states away. It’s no surprise this switch can really stress people out, and if you’re considering a long distance move in the near future, you’re probably feeling that cold sweat creeping in as you go over everything you need to take care of. We’re here to tell you to relax and breathe. Blue Whale Moving can handle all the stresses of a move, no matter the distance. We’ll take on all the minutiae of moving, leaving you to handle the important stuff: getting your house (literally) in order for the move, and getting yourself and your family ready to relocate. You’ve probably heard us say we’re a full-service moving company, but what does this really mean? Will we really take care of every aspect of a move, or are we just trying to tell you what you want to hear? Don’t just take our word for it. We’ll show you why we’re Austin’s favorite professional long distance moving company with our comprehensive services. We’ll provide packing supplies and packing services before the move. During your move, we’ll load up everything into our trucks and safely transport it all to your new home. When we arrive, just let us know where to unload every box and we’ll take care of it before you even have time to worry. It’s as simple as that. 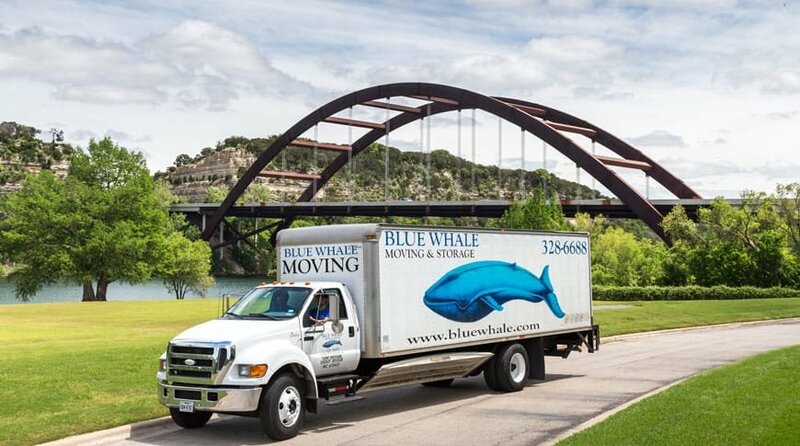 No matter the size or distance of your move, Blue Whale Moving is the only truly full-service moving company you need. If the timing doesn’t quite work out between point A and point B, all is not lost, so don’t worry. For an affordable price, we’ll store your stuff for as long as you want us to, between destinations, in our secure storage facility. For free consultation, call Blue Whale Moving today!